Tag Archives for " Sean Ellis "
Few trendy terms have been more misused and abused by ‘marketers is what I think. I wrote this piece about growth hacking if you want my take. For some perspective I turned to someone that I think does understand and correctly apply growth hacking tactics to marketing. In the end, all marketers growth hack a bit, even if all that means is trying new things to engage new customers. 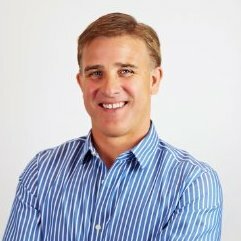 My guest for this week’s episode of the Duct Tape Marketing Podcast is Sean Ellis, the CEO and co-founder of GrowthHackers.com and co-author of Hacking Growth: How Today’s Fastest Growing Companies Drive Breakout Success. He and I discuss why growth hacking isn’t just for startup SaaS companies anymore. Ellis coined the term “growth hacking” in 2010, after using it to ignite growth for Dropbox, Eventbrite, LogMeIn and Lookout – each now worth billions of dollars. He regularly speaks to startups and Fortune 100s and has been featured in the New York Times, the Wall Street Journal, WIRED, Fast Company, Inc.com, and TechCrunch. Isn’t growth hacking really just good marketing? Is growth hacking for everyone? How to find your North Star Metric? Read Hacking Growth: How Today’s Fastest Growing Companies Drive Breakout Success.